The Mafia franchise is one of my absolute favorite game series, so I’m very excited to present this exclusive, in-depth A Sound Effect interview with Mafia III audio director Matt Bauer. Hangar 13 is 2K’s newest game development studio. Helmed by Haden Blackman — known for the LucasArts/EA MMORPG Star Wars Galaxies, Hangar 13 is focused on designing and delivering top-shelf gaming experiences. Their first release is Mafia III, the latest member of 2K’s well established Mafia family of games. Fans of the series will feel at home in Mafia III’s fictional city of New Bordeaux, an open-world, detail-rich environment modeled after New Orleans in the 1960s. In addition to keeping with the historical city theme, this latest Mafia release (available now on PS4, Xbox One, and Steam) offers familiar gameplay, wherein a player takes on the role of a central character who completes organized crime missions to move through the story. 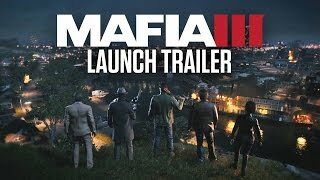 Leading the Mafia III sound team is audio director Matt Bauer, who’s spent over 17 years in the audio industry, racking up experience for a variety of skills like field recording, surround mixing, Foley, ADR, casting, sound design for both linear and non-linear projects, audio implementation, and game audio system design. In terms of game studio experience, his former job titles include audio lead at LucasArts, and audio director for THQ, and Midway Games. Here, Bauer shares details of his ground-up approach to Mafia III’s soundscape. How did you get involved with Mafia III? 2K had invited veteran game developer Haden Blackman to build a new development studio here at 2K’s northern California headquarters. I had been working at LucasArts and joined Haden’s team very early in the pre-production phase of Mafia III. The chance to work on an open world cover based shooter, set in the real world, very much appealed to me. And the opportunity to build out an audio team from the ground up was a rare opportunity. You got to choose your own sound team? Who did you pick and why were they a good fit for Mafia III? We put together a team of two senior sound designers and two junior sound designers. Alongside my other duties I also devoted a large portion of my time to sound design and mixing. Each person took ownership over multiple areas of work and we all worked closely each day to support one another. We supplemented our team with some contracted partners as needed. Specifically I’d like to mention Jamey Scott at Dramatic Audio Post who was a terrific partner for our team on a variety of different tasks. This is the first game developed by 2K’s new studio, Hangar 13. What did that mean for you and your audio team in terms of creative freedom and expectations? Haden gave me a lot of creative freedom on this project and we worked together on defining our goals for audio, and the tone we wanted to present for Mafia III. Making games is an iterative process that we embrace whole heartedly at Hangar 13. Everyone is encouraged to experiment with their creative ideas, react to feedback and iterate until we create something we’re proud of. No project has an infinite amount of time so you do have to pick and choose the areas that need the most iteration and attention to make the most impact to the player’s experience. This is your first Mafia series game, correct? Did the first two games in the series impact your approach to the sound on Mafia III? Previous Mafia games influenced us to the extent that we had a successful, established franchise to build upon. We knew what Mafia’s strengths were and the areas where we wanted to focus our efforts. For Mafia III, we did not reuse audio from previous games. It was a completely fresh approach in terms of our audio design, implementation processes and tools. Any consideration to being era-specific with the sound since the story is set 1968? Or, because it’s a fictional reality, you were able to take creative license with that? Mafia III is set in New Bordeaux — a fictional city heavily inspired by New Orleans during 1968, a time of great upheaval in American History. Providing the player with a strong sense of both time and place was a primary goal for our studio and it helped us to define some parameters when it came to sound design. The time period naturally points to creating a pallet of sounds somewhat grounded in reality, as opposed to something with a heavy modern or sci-fi feel. There is definitely a more mechanical feel to the sound design but there are some key moments where we break that sense of reality to enhance excitement. One of the best ways we could serve to immerse players into 1968 was through our musical choices. 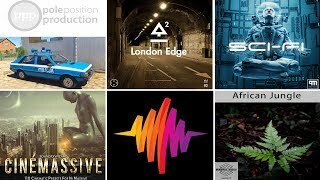 We’ve licensed over 100 tracks from the time period, covering a wide variety of artists and genres which makes for an amazing soundtrack. Our main protagonist Lincoln Clay grew up an orphan, is of mixed race, is a Vietnam War veteran, and a member of the black mob. We carefully chose music that we thought Lincoln would listen to and would serve as a backdrop to his life. We’re extremely excited to include artists such as The Rolling Stones, James Brown, Creedence Clearwater Revival, Aretha Franklin, The Animals, and many more. We decided very early on in development that we wanted to avoid an orchestral based approach to our original score. This is somewhat of a departure from what might be expected in games but we wanted to maintain that sense of time and place in everything we did. We achieved this by working with two outstanding composers, Jesse Harlin and Jim Bonney to create a blues inspired score that fits really well with the variety of licensed music in the game. It keeps the player grounded in our version of 1968 New Orleans. We recorded our score in Nashville, Tennessee and assembled a team of exceptionally talented studio musicians who really brought Jim and Jesse’s work to life beyond any of our expectations. What were some of the challenges in getting the sound right for the game? How did you resolve them? At Hangar 13 we were building a new studio, team, tech and an open world game all at the same time. There were inevitably going to be some lessons learned along the way. We had some very high ambitions for our sound propagation system that was developed in-house and it definitely presented some challenges. We’re grateful to have a very talented engineering group that dedicated significant time to creating this system from scratch. It’s something we’re proud of and will continue to build upon in future titles. We knew that our choice of a blues inspired original score was going to present some challenges when it came to an interactive music system in game. We put a lot of effort into planning our music long before Jim and Jesse began writing. Our senior sound designer Alexandre Saba worked tirelessly with our design team to ensure the music gracefully compliments the action on-screen and supports the player’s chosen play style. In general, our team constantly reacted to feedback and wasn’t afraid to iterate until it sounded right. When our actors were on-set in our Motion Capture stage, it was a goal to do T-Cap (Total Capture), meaning we record body movement, facial movement, and final dialogue all simultaneously. This serves to get a truly authentic performance from the cast. However, a non-ADR approach presents some challenges. 2K has an outstanding Motion Capture facility and there has been great effort to soundproof the stage as well as reduce reflections, but it’s still a very large set and the audio requires a considerable amount of clean-up work before it’s ready for a final mix. 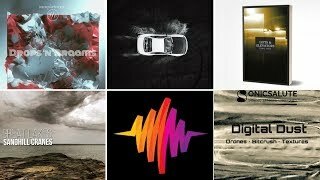 iZotope’s RX 5 Advanced was an integral part of my daily workflow and we’re very proud of the end results for our cinematic moments in the game. Can you tell me about your design for the fictional city of New Bordeaux? 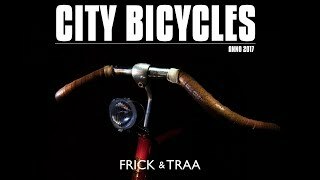 What are some sound characteristics unique to each section of the city? Any particular area of the city you’d like to highlight in terms of sound? New Bordeaux is broken up into 10 districts, including the Bayou, and each has a very unique flavor in terms of population and environment. This allowed us to give them a unique soundscape as well. We identify our ambience system as three main distinct layers: background, mid-ground, and foreground. This separation allowed us to create a seamless flow from district to district by merging these different layers at different times as you make your way around the city. Foreground ambient sounds will react to the player’s actions. For example, firing a weapon will cause the sound of nearby wildlife to react as you’d expect in real life for a period of time before returning to normal. One district, “Frisco Fields,” is an affluent residential suburb where you might expect to hear people mowing and watering perfectly manicured lawns. We have other districts that are more industrial and you will expect to hear distant machinery, cranes, and dock workers. The Bayou is one area in particular that received special attention. It is made up of six distinctly different ambience layers to provide a rich and immersive environment. The majority of our ambient sound comes from original field recordings and the entire city soundscape of Mafia III is tightly integrated into the time of day and weather systems. Gore, guns, vehicles, and weapons — any fun field recordings to cover the array of sounds you needed for the game? If so, what did you capture and how did you capture it? We concentrated a lot of our efforts on vehicle audio. One of our studio goals was to deliver exciting, Hollywood-action driving in Mafia III and by extension of that, my goal was to strive for the best possible vehicle audio achievable in an open world game. We searched extensively for classic vehicles from the time period, recording over 30 vehicles in total for Mafia III (cars, boats, and trucks). Regardless of engine power, we aimed to find as many uniquely different sounding vehicles as possible. For vehicle recording sessions, we used a Dynapack, a specialized dyno originally intended for open wheel race cars. (A note for non-auto enthusiasts, a dyno is typically used for testing a car’s horsepower, torque, and breaking capabilities. It’s a stationary platform with rollers upon which a car’s tires sit. The tires rotate as the engine gets put through its paces, all without the car physically moving). It tends to be more accurate and give greater control over the vehicle compared to a traditional roller dyno, which was important for older vehicles that didn’t have onboard computer systems. Most importantly a Dynapack is considerably quieter than a roller dyno which is crucial for the success of our recordings. Depending on the particular vehicle, we used anywhere from 8 to 16 mics on each recording session. Our primary recorder was a Sound Devices 788T-SSD. Our main mic choices consisted of DPA 4062s with unique placement per vehicle in the engine bay (the 4062s are amazing and never once let us down). Additionally, we placed Sennheiser MKH 416s around the engine bay. Sennheiser MKH 8060s were used on the exhaust at a medium distance while AKG D112s were used to capture some of the low-end rumble from the exhaust. We also recorded interior perspectives of all vehicles. In one session we had this beautiful open wheeled race car that put out over 800 horsepower and was unbelievably loud. We added in some Shure SM58s and they gave us this wonderful aggressive bite that was lacking from the condenser mics. After each car had finished its dyno session we recorded a unique set of Foley from every vehicle, capturing the doors, windows, hood, trunk, horn, handbrake, switches, and anything that moved or was unique to that car. 1) Conduct a safe and responsible recording session. 2) Respect the limits of the vehicle and protect it from damage. As we were recording vehicles from the 60s and earlier, this presented some challenges. Every session began with a thorough discussion amongst the vehicle owner, dyno technician, and myself about the limits of the vehicle and the parameters they felt comfortable with. Some older cars don’t have very efficient cooling systems compared to modern cars and needed extra care. At the extreme end of this we had one vehicle that we could only record for 12 seconds at a time with 10 minute cooling intervals in between. It was an amazing sounding vehicle from the 1930’s but it didn’t handle the heat very well under high load. It was definitely worth the extra time for the results. At the other end of the spectrum we had one vehicle owner with a highly tuned track car give us permission to “Do whatever it lets you do… you can take it up to 8500rpm if you like.” Needless to say it was a magnificent sounding piece of machinery. Mafia III supports an upgrade path for a specific fleet of vehicles, and we wanted to be able to add forced induction upgrades to a number of existing cars. I visited a supercharger manufacturer in southern California who generously allowed us to record their various models in a soundproofed testing area. The superchargers are spooled up by quiet, electric motors for a final test prior to leaving the factory. It allowed us to capture that very unique sound completely independent of the engine and then add it to any existing engine we chose. Tires were recorded with an electric vehicle at Laguna Seca raceway in Monterey, California. We hired a professional driver, had a technician and ambulance on-site, and went to a lot of effort and planning to ensure the session was done responsibly and safely. In one full day we recorded all of the tire sounds we needed for Mafia III— everything from the grit on the tires travelling at 5mph, to burnouts, drifting, and skidding to a halt. We captured the same maneuvers on different materials, such as asphalt, dirt, gravel, grass, and wet roads. In Mafia III our physics-based driving system allows us to track the surface each wheel is driving on, as well as track the simulated rotational and lateral forces independently to deliver unique audio per wheel. You notice this even more when playing on a 7.1 or 5.1 surround system. Depending on the camera position you choose, it’s exciting to hear all four wheels reacting differently around you. We recorded some big rig trucks, running 12 mics in these sessions. One thing I’m particularly proud of, which players may not initially notice, is our implementation of the Jake Brake, otherwise known as engine braking or exhaust braking. It’s an important sound of a truck so I wanted to bring it into the game. In Mafia III we use a combination of vehicle speed, engine load, gear, clutch position and vehicle angle/elevation to replicate the Jake Break when driving downhill. Our city, New Bordeaux has a number of canals in and around the districts as well as the swampy Bayou to the South. We recorded a number of boat engines ranging from tiny fishing boats to high speed drag racing boats. There were definitely some challenges to overcome and I was especially conscious of protecting our gear out on the water. The DPA 4062s really were the most versatile mics for all of our vehicle recordings; we could put them under the outboard engine cover and not have to worry about interference from wind or water. Sennheiser 8060s in Rode blimps took care of external engine, exhaust, and water spray sounds but we made some custom modifications to add additional wind and water protection. Above a certain speed, the wind inevitably becomes unmanageable. However, the DPAs under the engine cover were invaluable at those higher speeds, as well as contact mics placed on the hull of the boat to get those thumps and bumps. On many boats the exhaust sits below the water level and doesn’t offer much in the way of sound other than a little gurgle at idle. To overcome this you can connect a water hose to the engine (for cooling purposes) and do a short engine run on dry land to get the aggressive bitey tone from the exhaust, which we blended with our recordings in the water. There was a lot more work done in the studio to bring these recordings to life, including vehicle destruction. One of our senior sound designers Petr Klimunda dedicated a large portion of his time on this project to our vehicle implementation and I’m very happy with what he and the team overall have achieved for vehicles in an open world game. I really hope players notice the attention to detail and enjoy what they hear. Any Foley for footsteps, clothing, and touches? Did you Foley any gore, or gun movements? Yes, Foley was very much a huge consideration for Mafia III. We worked on the Foley stages at Skywalker Sound. I had worked with Skywalker Sound previously from my time at LucasArts and had worked with some of the crew there. The quality of work they offer is second to none and they are conveniently a short drive from our studios, so the choice to work with them was an easy one by all accounts. We initially spent two full days recording the majority of our systemic traversal and combat Foley. This covered all of our surface materials, movement types, combat, cloth, gore, etc. We finished those two days with over 9,000 usable assets that we then spent further time refining back at our studios. The cinematic storytelling aspect of the Mafia franchise has always been a strong point and I wanted to ensure we delivered the best cinematic audio possible. For context, we have approximately four hours of cinematic moments to tell the story of Lincoln Clay and his vengeance quest to dismantle the Italian mob. This was 100% motion captured performance. We worked again on the Foley stages at Skywalker Sound for our cinematics and I was very pleased with the results from the whole team. In terms of the sound overall, is there anything players should keep their ears open for? Any sonic moments you’re particularly happy about? There’s a lot of work we’re proud of but I’ll give you a few specific examples. I began my audio career in Australian Radio and it was important to me to build out full radio stations, complete with station IDs, jingles, commercials, and news that changes and evolves based on the player’s actions. “The Backlot Post” in Melbourne, Australia created some our radio packaging and they did an outstanding job. As part of our radio system we had a little fun by simulating loss of radio reception. As you drive through a tunnel, or into an undercover parking garage, the radio signal continues to degrade based on how deep you go until you emerge from the other side. We also decided to treat our radio system as if it had real life radio stations, broadcasting all the time. For example, if you leave your car and return a minute later, the radio does not pause and wait for you or simply choose a new song when you return. Our radio system tracks the amount of time the song has progressed since you left. So if you return to your car 30 seconds later, you would hear that same song progressed 30 seconds forward in time as if it was still playing. The same goes for all the radios placed throughout the world. Essentially, we keep the broadcast running on the radio at all times and it’s tied into everything in the city to access it. Another example is during our tire recordings we learned how the sound changes drastically based on the temperature of the tire. So, we went back to our design team, who were already simulating tire temperature as part of their vehicle physics, and requested access to that data in order to alter our tire audio accordingly. It’s a little detail that I hope players enjoy. A big thanks to Matt Bauer and team for the story behind the sound of Mafia III – and to Jennifer Walden for doing the interview!